He gave me a lot of attention and scheduled my endoscopy for the next Saturday since I could do it later. Dr Wang was very knowledgeable and he took his time to explain possible conditions that I might have. He also explainedthe options that I have regarding my care and answered all of the questions that I had. Dr Wang was very knowledgeable and he took his time to explain possible conditions that I might have. He also explained the options that I have regarding my care and answeredall of the questions that I had. 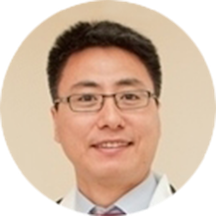 Chuansheng Wang is a dedicated and accomplished internist and gastroenterologist based in Elmhurst Queens, NY. Dr. Wang earned his medical degree from the Peking University Health Science Center in China. He then accomplished his residency in internal medicine and his fellowships in gastroenterology and transplant hepatology from the Icahn School of Medicine at Mount Sinai. Dr. Wang is certified in multiple specialties by the American Board of Internal Medicine, namely internal medicine, gastroenterology, and transplant hepatology. He is a member of the American College of Gastroenterology and the American Association for the Study of Liver Diseases. He is also an assistant clinical professor at the Mount Sinai Hospital in New York, NY. Dr. Wang has been the recipient of many awards and recognitions, such as the Salix Fellowship2Leadership Travel grant, the Arthritis Foundation Postdoctoral Fellowship award and recipient of NIH Training Grant in Investigative Gastroenterology. He has managed and treated a wide variety of medical dysfunctions, including ulcerative colitis, Crohn's disease, colonic polyps, diverticulitis, and acid reflux. He is fluent in English and Chinese. Chuansheng Wang and Lloyd Mayer. Advanced Therapy in Inflammatory Bowel Disease (Third Edition 2011): Biological Therapy in IBD (Chapter 14). Very friendly and intelligible. Straight to the point and open to questions. Dr. Wang was very nice and comforting. He listened to my questions and concerns and provided answers that were easy to understand! It was great. Dr. Wang made me feel very comfortable, asked many questions, and listened to all of my concerns. He carefully explained what the next steps should be in my treatment. The staff at the office, though they seemed preoccupied, were very friendly. They made my first visit really easy and comfortable. The doctor was very thorough in explaining conditions and procedures and was very concerned. A bit tricky to find his office, but a pleasant enough visit for an unpleasant subject. Would recommend. Rude, judgemental, useless. Don't waste your time, find anyone other than this doctor! If you still go, you've been warned! He is cordial, very professional and caring doctor. Very Helpful, great and patient staff, doctor took their time to figure out my ailment. Very personable, yet straight forward. Listened to me carefully and explained my condition with calm and in a way anyone can grasp. Great doctor! He's very knowledgable and takes time to listen to the patient . Dr. Chuansheng Wang was excellent. He listened to all of my health issues and was extremely thorough with his explanation of next steps for treatment. I highly recommend him! Dr. Wang was very professional, listened to my concerns, and the wait to see him was very quick. The office staff is very nice and competent. Very good doctor, excellent listener and advisor. Shared knowledge and explained clearly. i have seen so many doctors in the past two years, and dr wang is the best of the best !!! Very rush!! I was late for 20 mins(my bad), and waited another 30 mins(50 mins late for the schedule). He just asked some questions, and tried to give me some medicine without explanation. I had to keep asking. And he didntwant to explain. No advice about what food should I take to relieve the pain. The whole process took only around 10 mins! Had to go to another doctor today which was way better than him! Never visit him again! The doctor is very thorough, he listens well and asks a lot of questions. You can tell he cares about his patients. It was a very pleasant experience. Dr. Wang is both knowledgeable and polite. I feel much better after seeing him and following his adjustments. Very easy to talk to! Dr Wang is a very caring individual. He asks questions and hears you out and really does listen! Very informative and professional. Seems very knowledgeable, would definitely recommend him. He was running late because an earlier procedure had complications, and he apolgized to us in the waiting room more than once. This was my first visit and he was very thorough and caring. Feint desk staff was friendly and efficient. Clean office. Endoscopy and colonoscopy done on site. Dr. Wang was pretty patient and affable through the whole process of medical service. Very rushing doctor. Wanted me to do the same blood test I did many times in the last two months with other gastroenterologist, and the last one was 2 weeks old. He just tried to make money for his office, likemany doctors do. When I asked what he thought of MRI scan, blood test results I showed him, he didn't want to explain. You need to ask several times and he will reply with one word. Too many patients, so good place to make money. This appointment was for my mother's stomach discomfort resulting from a previous condition before the visit to the US. Dr. Wang listened carefully about her history with this condition and explained the best ways, in his opinion, to cure thesituation and offered options for a thorough follow-up, should she decide to pursue. very quick to be seen (and it was the first time). Doctor was excellent-went over all the info and asked a lot of questions. The doctor is very very professional, right to the point and espress himself very clearly.